Yury Lutsenko, the Prosecutor General of Ukraine confirmed the holding of the investigative actions toward Nazar Kholodnytsky, the Head of Ukraine's Specialized Anti-Corruption Prosecutor's Office (SAP). ‘Really, in accordance with the legislation, the Prosecutor General’s Office of Ukraine along with the National Anti-Corruption Bureau held the investigative actions that also concerned SAP Head Kholodnytsky. The investigative actions continue. In the result of the particular questionings, expert studies, I can report on whether the signs of the crimes spotted by the wire that was established in the cabinet of the SAP Head were found’, he said. 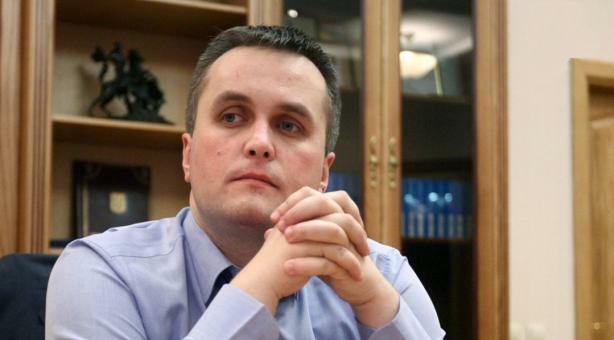 Later Ukrainian news reported citing the sources in the Prosecutor General’s Office that Nazar Kholodnytsky can be detained and arrested in the near time. It is not specified within which criminal proceeding the detention can take place but it is emphasized that it can take place in the near time. As we reported the SAP found a wire in the cabinet of Nazar Kholodnytsky. It was noted that the NABU and Prosecutor General's Office held the audition. At the same time, Artem Sytnyk, the Head of NABU belied this information.